Having our daughter Lily leave, at the age of sixteen, to live with an unknown family in Italy, as part of a foreign language immersion program was one of the biggest nest-departing challenges I’ve faced. Lily had never minded checking in with me and sharing what was going on. What I found hard to set boundries around was that when she told me details other kids would never divulge. I had a hard time not opening my mouth and attempting to guide her through her often impulsive, sovereign exploits. 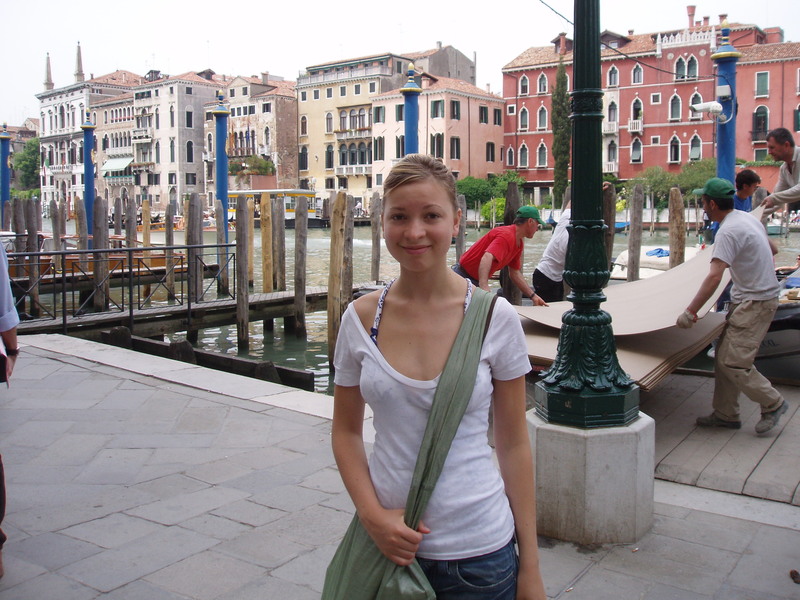 Almost all of her contacts with home during her Italian Immersion program were through email. What she discovered about her peers in Calgary at that age was that out of sight was almost out of mind. As a result of that, I’d like to say I was treated to an almost daily email, but they were definitely not always a treat. At just barely sixteen, in such a unfamiliar situation, Lily needed guidance from me and her dad. My headstrong daughter didn’t always agree. Parenting loses a lot of its punch when you are a continent away from your child. When you say, “hang out with your host instead of that stranger you met on the bridge,” and your honest daughter tells you she isn’t going to comply with your rules, it is hard to enforce consequences. So we bickered via email, I was forced to make great strides in the art of the consoling email, and we gave each other a sense of the life we were separated from, zapping our words across countries and oceans. Lily did tell me that she found a place to go to cry out loud – her preferred style of crying- and during those months she had reason to go there. Her older sister, Zoë, and I had a friendly wager about whether or not our sensitive, finicky Lily would last the full five months without sobbing that we had to bring her home. It was hard to determine the odds. Another wonderful post about empty-nesting. thanks – it’s funny, the house was never actually empty of ‘kids’ until quite recently, but it was the process of them leaving that I write about. thanks for your comppliment.